One of my all time favourite games is a 90s-era turn-based strategy game which takes place during the First World War. The game, called History Line, starts out at the beginning of the war with a relatively small number of possible military units. As the war goes on, the battlefields get larger and the technology slowly advances (as it did in real life). 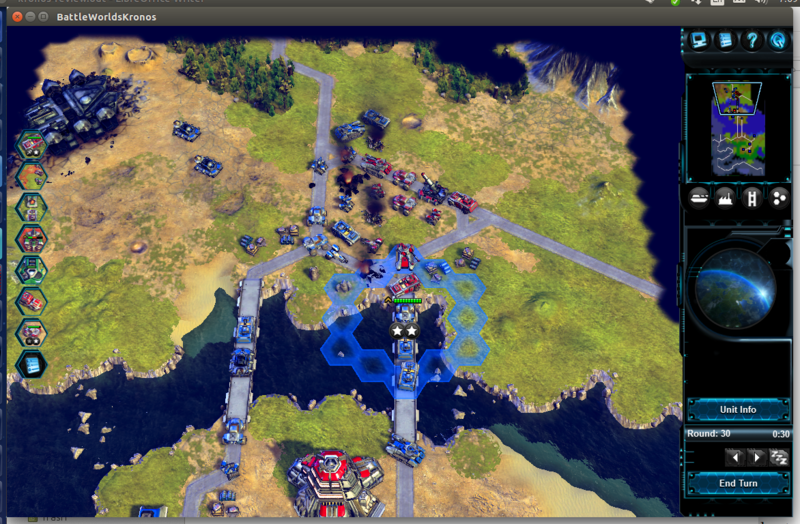 The increasingly complex situations form the difficulty curve while the AI and rules remain the same throughout the game. I have often wished someone would come along and re-make History Line with slightly better graphics and some smoother controls. Well, some people did exactly that. 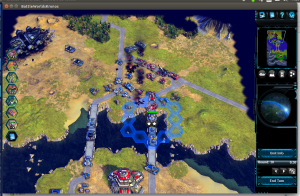 Battle Worlds: Kronos is a turn-based strategy game set in a futuristic environment where we, as a Commander, control groups of units on a map of hexagons. We are given objectives for a given map such as capturing the enemy headquarters or protecting a certain area. As with games like History Line our units move and fire as separate actions and each unit has a specific firing range, speed and certain special strengths. Units can be upgraded or repaired as they gain combat experience. The first mission in Kronos is a tutorial and it does a nice job walking us through the steps involved in commanding a small army. We are walked through movement, one-on-one combat, securing objects, combat involving multiple units and capturing buildings. The tutorial is interesting in that it is very straight forward in its instructions and quite helpful, but the tutorial mission is still challenging. At least I found it to be a challenge. Though I’ve only played a few missions, there are some really great features offered by Kronos. One is that the game presents all the great features of classic turn-based strategy games while also providing an upgraded interface. The graphics are good (without being distracting), the instructions are clear and the controls are pretty smooth. There were some features I had to find by trial and error, such as upgrading and healing units. However, once I got into the swing of things I found the controls to be smooth and the game has a nice, quick flow to it. Sometimes turn-based games can be boring from repetition, but I found Kronos moved along quickly enough to hold my attention. I also like that there is a bit of a story going on in the background. There is a plot afoot behind the scenes and, while it doesn’t affect the battle directly, having a story to follow is nice motivation to see what the next chapter holds. Kronos would stand on its own without the story: the variety of available units, the capable AI and the graphics hold up on their own. Still, I like that there is a plot to follow, the story adds a touch of intrigue and passion to the combat. All in all, I give Kronos a solid four stars out of five. The game only glitched on me once (I completed an objective too early during the tutorial, throwing off the flow of the instructions) and everything feels smooth, adding modern polish to a beloved classic genre. I’m only a few missions into the game so far, but the units feel balanced and, while the AI puts up a good fight, it does not appear to be overpowered. Kronos is available as a demo so potential players can try it out before buying.